Something to look forward to: Aside from the Middle Earth: Shadow of War series, Lord of the Rings fans haven't had many gritty, mature games set in the universe to dig into. Fortunately, that could be about to change, because Daedalic Entertainment -- the team behind popular point-and-click adventure series Deponia -- have announced an all-new action-adventure game set in the Lord of the Rings universe; The Lord of the Rings: Gollum. As its name suggests, the game will let players take on the role of one of the most iconic and twisted characters from Tolkien's popular fantasy series. 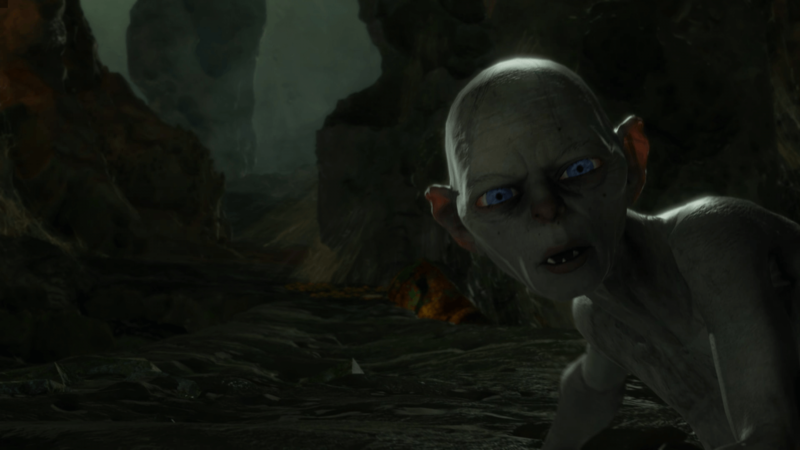 However, to be clear, Daedalic is creating their game based on the Gollum from Tolkien's books. As such, expect a much different experience than you had watching the Lord of the Rings movies. In terms of gameplay information, we have virtually nothing to go on. Apparently, the game is rather early in development at the moment, so all Daedalic is willing to talk about is its general theme and their design goals. "We're concentrating on the character of Gollum, and we're telling his story before we learn about what happens to him in the books," Daedalic CEO Carsten Fichtelmann said in an interview with PC Gamer's Andy Kelly. However, despite the lack of official information, we can speculate. For starters, as PC Gamer notes, Gollum isn't exactly a warrior. As such, we may see something similar to the Styx series - combat may be possible, but difficult, with stealth serving as the primary way to progress through the game. At any rate, it'll be quite a while before we figure out what Daedalic has planned. The Lord of the Rings: Gollum isn't expected to launch until 2021, for the PC and "whatever" consoles are available at that time.